The MBTA would run late-night weekend service under the plan. The MBTA would run until 2 a.m. on weekends, replacements for 1960s and ’70s subway cars would be assembled in Massachusetts production plants, and passenger trains would run regularly to Springfield and the Berkshires, if the Patrick administration wins support for the transportation plan the governor unveiled this week. But that agenda comes with a steep cost: an average of $1 billion more a year in taxes and fees to pay for revitalizing the state’s decaying transportation system. And that price tag means it’s far from a done deal. Since the unveiling of the plan, reaction has largely focused on its cost, on how to raise the money — Governor Deval Patrick called for an income tax hike in Wednesday’s State of the Commonwealth Address — and on the validity of some big-ticket projects, chiefly a $1.8 billion commuter rail extension to Fall River and New Bedford known as South Coast Rail. But the 63-page plan contains other smaller initiatives greeted with enthusiasm by planners, advocates, and environmentalists, and by officials beyond Route 128. It has also drawn criticism from Republican lawmakers and from conservative and antitax groups as being too lavish for taxpayers to afford. If it seems like a wish list, it is. Administration officials have taken pains to stress that most of the money would go to badly needed maintenance and to clear debt and annual deficits that have bogged down the transportation system for years. But some strategic investment — in projects and initiatives that have been envisioned but put off for decades — are needed to keep the state, and its economy, from stagnating, Secretary of Transportation Richard A. Davey said. The Pioneer Institute, a conservative think tank, acknowledged that the state has serious transportation needs but called Patrick’s plan “hyper-inflated.” Jim Stergios, Pioneer executive director, said Patrick overstates the stimulus benefits of spending on construction as well as the long-term benefits of those transportation improvements. “The governor’s plan is not serious and, in parts, borders on slapdash,” Stergios said in a statement. The new revenue that Patrick is seeking would be used to cover the costs of some basic, day-to-day operations and for longer-range repairs and updates of the state’s transportation network. For years, the state has taken out loans to pay for expenses such as mowing and striping. That borrowing was necessary because gas taxes had not risen since 1991, constantly losing ground to inflation. But it served to mask the financial hole the state was digging. Under Patrick’s proposal, such practices would cease. But that money would also be used to enhance day-to-day service. An extra $25 million a year for the T could help restore weekend commuter rail service on the Needham Line and Old Colony branches. And it could help the state quiet a perennial complaint about the T, and, indeed, about Boston itself: Subways and buses shut down too early on weekends. The T experimented a decade ago with a “Night Owl” service that ran select weekend buses after other buses and subways stopped at 1 a.m. But in a pre-smartphone era, riders more familiar with the subway were often left to guess where and when buses would run. 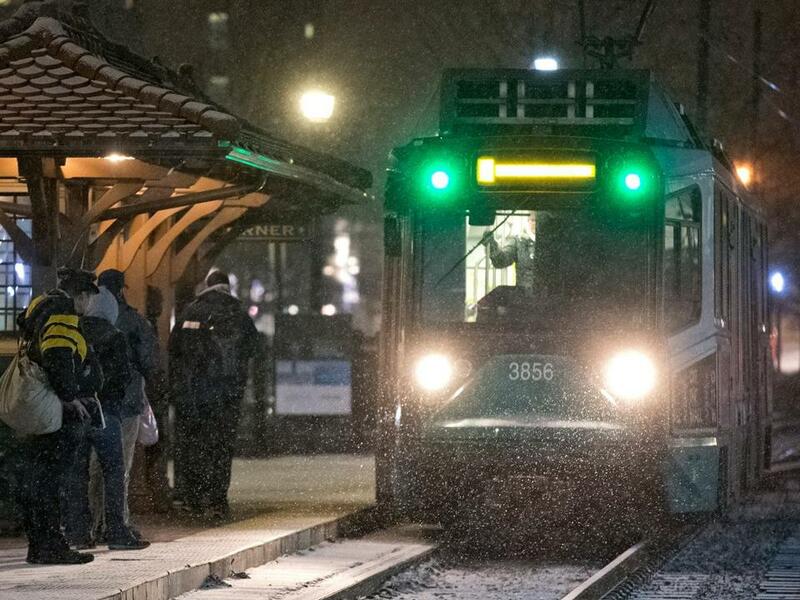 Demand topped out at about 2,000 passengers a night, and the T scrapped the service amid budget pressure. Davey said extending the subway an extra hour or so would win more riders, while popular real-time phone applications would demystify late-night buses. The administration also wants to use the new tax revenue to upgrade the fleets of the 15 regional transit agencies that provide bus service beyond Greater Boston, and to provide each with about $7 million a year in new operating subsidies. That would allow them to provide more frequent daily trips and to run buses on nights and weekends. “It’s not only long overdue, it’s a question of economic and environmental justice and equity,” said Gary Shepard, administrator of the Berkshire Regional Transit Authority, which runs buses along 14 routes across a geographic area as large as Rhode Island. Those buses move half a million riders annually even though most routes operate once an hour, and even though service is scarce on Saturdays, absent on Sundays, and stops at 7 p.m. weekdays. An estimated two-thirds of passengers do not own cars, so they are out of luck for reaching medical appointments at other hours or accessing weekend and evening jobs prevalent in the tourist-heavy Berkshires, Shepard said. The budget for repairing and updating roads, bridges, and transit equipment would grow from an existing $12 billion, 10-year program — which analysts say fails to keep up with the state’s vast and growing backlog of deferred maintenance — to $25 billion. That is possible with $1 billion in new annual taxes because the state would issue bonds that would generate far more revenue and would be repaid over decades. Where past legislative debates have unsuccessfully pitted Boston against the rest of the state and transit against highways, the administration called for investing that new money statewide and across transportation modes. That something-for-everyone approach includes $430 million over 10 years to expand statewide bicycle and pedestrian paths and lanes as highways and bridges are rebuilt, to help the state reduce car trips and reach greenhouse-gas targets; nearly $3 billion for MBTA fleet replacements, with some of the production work being done in Massachusetts; and nearly $4 billion to modernize aging highway interchanges, bridges, and tunnels. Of the $25 billion program Patrick envisions, about $4 billion in the next decade would go to expansion instead of repair, replacement, and modernization, Davey said. That is aimed at rail: South Coast Rail ($1.8 billion), a Green Line extension to Somerville and Medford ($674 million, to match anticipated federal funds), expansion and reconstruction of South Station to accommodate nearly twice as many trains ($850 million), extension of east-west commuter rail from Boston to Springfield ($362 million), enhancement of north-south freight lines in the Berkshires to connect with Metro-North and Amtrak passenger lines through Connecticut to New York City ($114 million), and rail and infrastructure improvements to restart summer passenger trains between Boston and Cape Cod ($21 million). Davey said the plan omitted many worthy and long-awaited projects, such as a Red Line-Blue Line connector and a transit loop around Boston known as the Urban Ring, to focus on maintenance.